Famous Kabob is The place for fine meats, freshly-baked bread, and traditional Middle Eastern recipes made from fresh local ingredients. This family-owned restaurant originated 26 years ago in this very location and managed to thrive over the years. The menu features traditional family recipes passed down the owners’ family tree for generations. Restaurant staff of 25 members has some cooks that have been working at Famous Kabob for 18 to 20 years. The restaurant fits up to 90 people and can easily accommodate private and corporate parties. It is a paradise for those who appreciate fine meat done right. 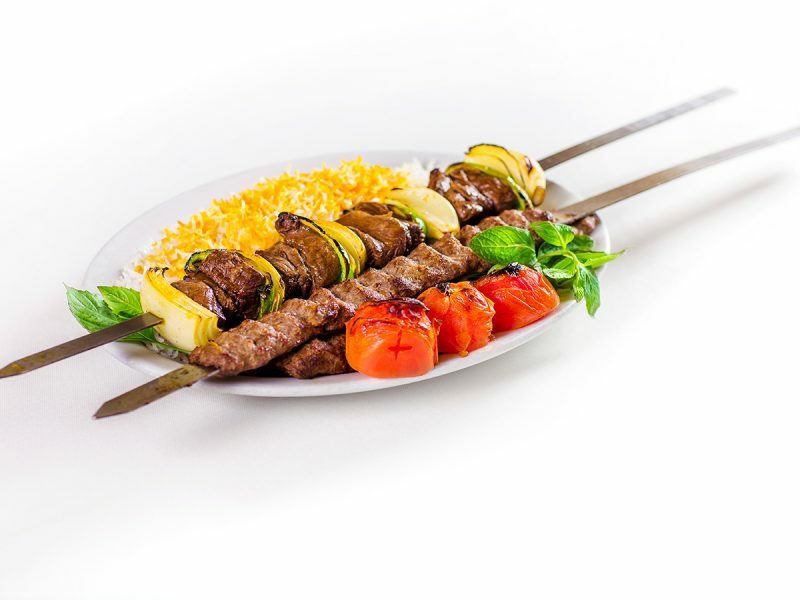 My recent food quest brought me to Famous Kabob, a local restaurant serving Persian cuisine, located at the crossing of Hurley Way and Fulton Avenue in Sacramento. The place looked nothing fancy from the outside, but the mouthwatering smell of grilled meat lured me to step in. I was taken by surprise by the upscale ambiance of this neighborhood food joint. It had cozy booths and tables set up around a real tandoori oven. The air was filled with the irresistible smell of freshly baked bread. Deemed light from a beautiful oversized chandelier illuminated the elegant European wall texture and created a perfect atmosphere for a relaxed intimate dining. A friendly host offered me a table and served some complimentary house bread with fresh herbs and feta cheese. He suggested to start with their famous appetizer – a fancy sautéed eggplant and tomato spread topped with a hint of mint and yogurt. It paired perfectly with the tandoori flatbread. The main course selection was a puzzle. I got lost in a long list of fresh kabobs and a large variety of meat dishes. The menu offered a great choice of grilled beef, lamb, chicken and vegetable kabobs and featured some unique Persian-style stews. All dishes are served with a side of Basmati rice topped with saffron seasoning and grilled tomatoes. I tried several dishes and my absolute favorite was their Lamb Kabob. It had marinated cubes of lamb tenderloin grilled on a skewer with fresh onions and bell peppers. The meat was juicy and tender and the flavors came together perfectly. Another dish that deserves a mention was Gormeh Sabzee, a Persian stew. It was made of beef cuts sautéed with finely chopped fresh parsley, leeks, scallions, onions, a variety of herbs and spices and garnished with kidney beans and sun dried lime. According to the co-owner, Max Babaei, this stew takes four to five hours to prepare and cook. I found this dish to be the best remedy for those craving some hearty comfort food on a rainy day. 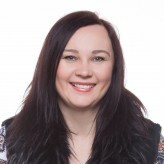 Angelica Strijaous is a marketing expert with a profound experience in multicultural communications. She is a Senior Marketing Director for Russian American Media, one of the largest media companies serving Americans of Slavic descent.